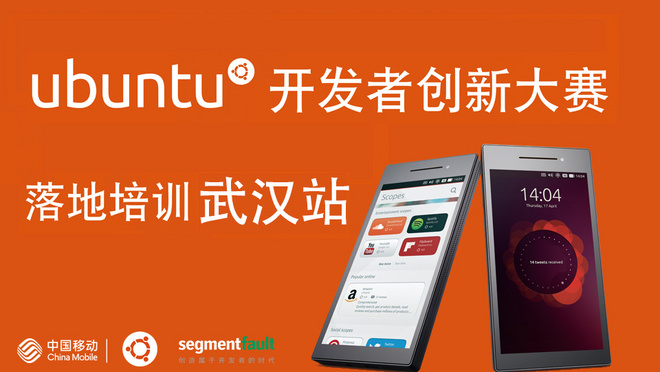 China Mobile & Ubuntu Developer Innovation Contest which launched at the end of 2014 is still in full swing. If you have not enrolled yet, you can sign up for dream.10086.cn/match in the China Mobile registration page. Since the contest started, we had made mutiple online training, that is Beijing University of Posts and Telecommunications, Shanghai InnoSpace, University of Science and Technology of China and Sun Yat-sen University. This time, the big fishes led by Mr.Liu is coming to Wuhan and sharing the tech about Ubuntu phone system application development with us. Guys in Wuhan, do not miss it!